When you hear of a supergroup group featuring Thurston Moore, Jim O'Rourke, Mats Gustafsson, along with Paal Nilssen-Love, Terrie Ex and Massimo Pupillo, you have to listen. If even experimental music isn't right up your alley, this is the type of project that begs to be heard. 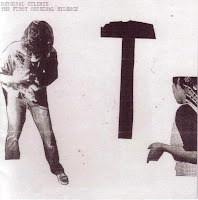 And not surprisingly, their album The First Original Silence doesn't disappoint at all. The album features only two songs, the one included here, which runs at 15 minutes and a second track coming in at 45. I've included the shorter track here to give you a taste, being entirely convinced you'll be hooked after a listen of it. The songs have surprisingly more structure and fluidity than I expected, but that is just one of many expectations that were blown away with this album, and that is exactly why I'm becoming so addicted to this album.